Looking for African textiles to for headwraps then this is a listing you should bookmark! 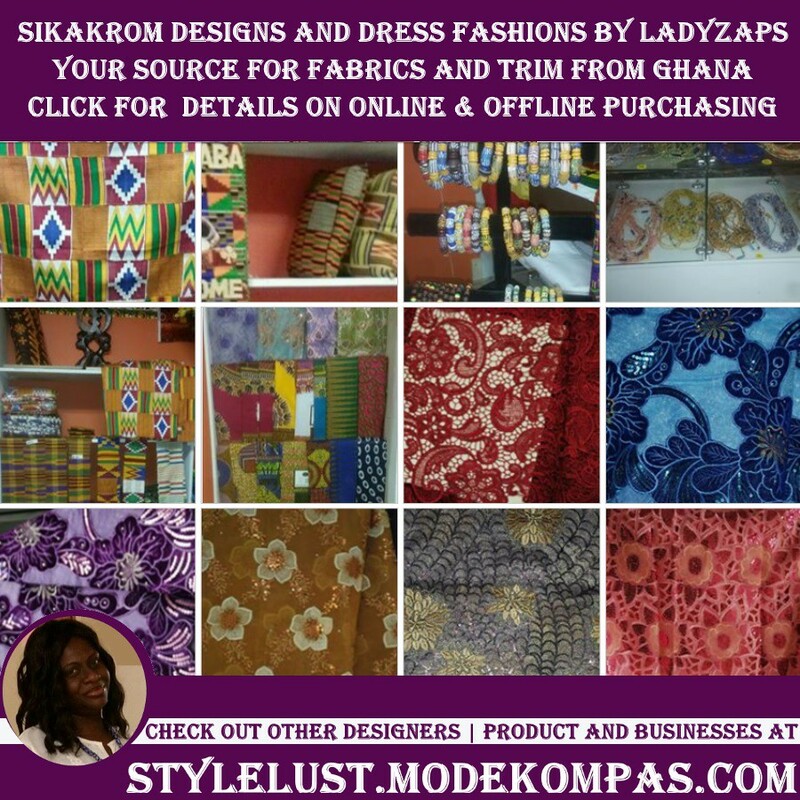 Nana A AssibeyYeboah (Ladyzaps) is the dream that facebook is made of, She started with a FB Group , SIKAKROM DESIGNS AND DRESS FASHIONS BY LADYZAPS. and now has opened a physical location in Connecticut! If you're in that area Check in frequently for her well-curated selection of African prints, brocades, beads, etc. As far as dressmaking services they are focused on women and you can find Dresses Skirts all types even Alterations if you need. They even offer hard to find "country flags" and a selction of home decor, Curtains, pillows, and wearable art tee shirts!